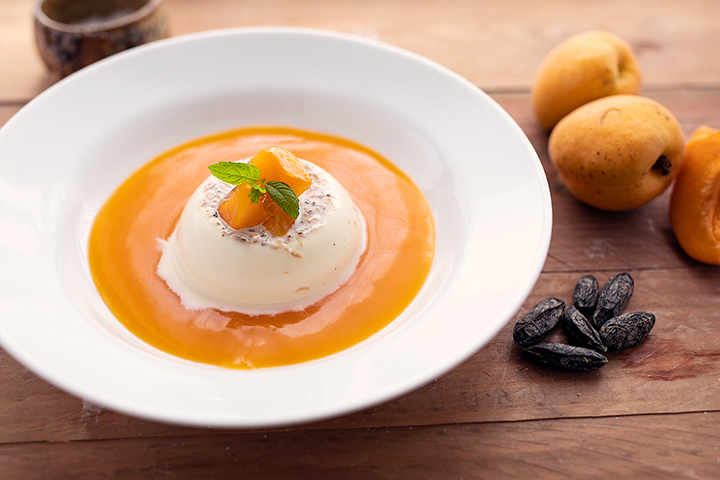 Cool and creamy, a panna cotta is just the thing for a hot summer’s day. In principle, it’s really easy. A combo of cream, milk and just enough sugar, mixed with gelatine and chilled to set. What could be easier? Except the exact set is quite important. A good panna cotta should have ‘the wobble’ - in other words, it should be just set. It shouldn’t stand up all rigid and unmoved. To get the smooth and melting mouth-feel, it needs to be enough and no more. And therein lies the exciting prospect of getting it all horribly wrong. And no dessert is complete without that, is it? My easy-to-remember formula for panna cotta is 1g gelatine for 100ml of liquid. A leaf of gelatine is 2g. It works - but you have to make it some way in advance and have a nice cool fridge - otherwise you’ll be looking uncertainly at it and wondering if it will set in time. If you’re appearing on Masterchef or one of those other programmes where they have to try to prepare in 2 hours what would normally take 4, you might want to add just another gram or so, just to be sure, and give it a few minutes in the ubiquitous blast chiller. Probably, that’s not you, so an extra couple of hours is fine. In this case, I decided to go with tonka bean panna cotta simply because I have said tonka beans and I’ll be damned if I’m not going to use them! See my eulogy for the noble bean here. If you don’t have such a thing but want to indulge in creamy goodness, you can naturally use vanilla instead. I matched this with an apricot coulis because it’s summer, and I want to get around to all the summer things at some point. Apricots have disappointed me in the past - if you get a less-than-great one, it can be seriously underwhelming on the flavour side. A coulis is a fine thing to do in that case, since you can compensate by adding a little more sugar if you find yourself in that position. On this occasion, the apricots I got were juicy and full of flavour, so ripe the stone fell out of the fruit when you cut it in half. As a result I was able to use only a little added sugar. 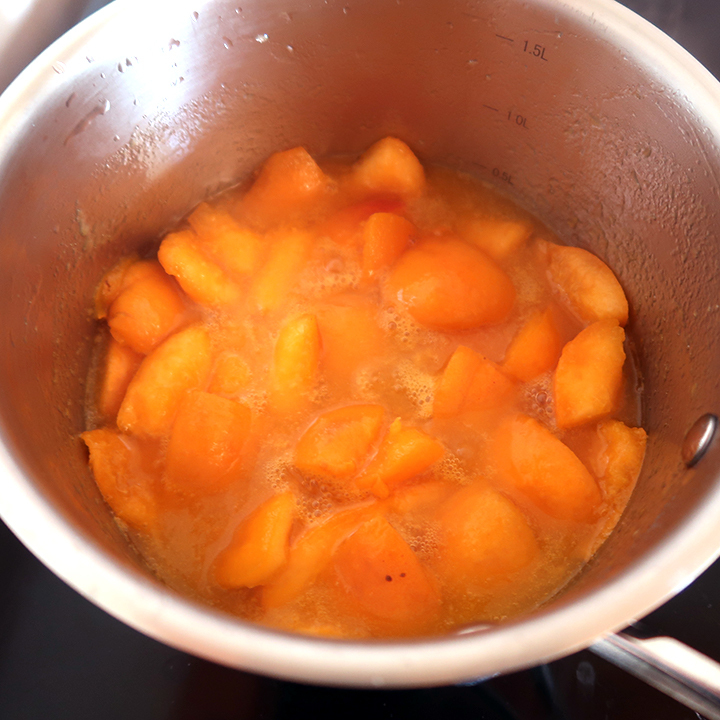 I’ve given a quantity for the sugar to add in the recipe below, but apricots can be very different, so you have to just initially blend it with the minimum amount, then taste, add more if you think it needs it, and blend again - and keep going until you get a delicious taste in your mouth. Because when you get it at the right level, it’s pretty fabulous. The final dish went down a treat. If I’d been doing it for something posh, I’d have had a few chunks of apricot and maybe a mint leaf or two to garnish. But at the end of the day, a panna cotta is a panna cotta and it speaks for itself. This one got rave reviews - so give it a go. Put the gelatine leaves in a dish of cold water and leave for 10 minutes to soften. While that’s doing, finely grate your tonka bean. Mix the milk, the double cream, the sugar and the grated tonka bean. Bring to the boil in a medium saucepan. 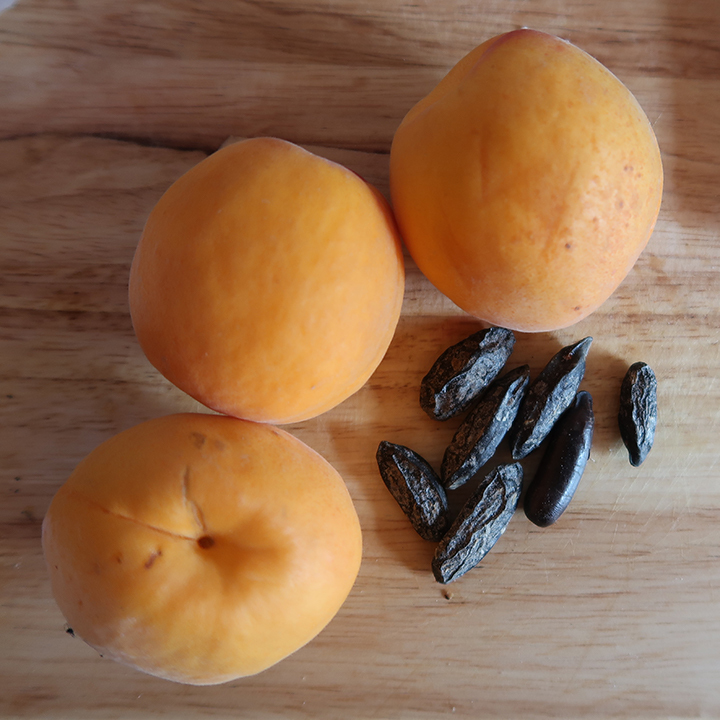 Once it’s boiled, take it off the heat and stir to dissolve the sugar and leave for the tonka bean to fully infuse. After ten minutes or so, while the cream mixture is still hot (or bring it back up a little if it’s cooled down too much), squeeze the gelatine leaves to remove some of the excess water, and then add them to the hot cream, stirring until they have fully dissolved. Once that’s done, pour the cream into the moulds, cover them to prevent a skin from forming, and allow them to cool down before putting them in the fridge to chill. Cut the apricots into quarters, discarding the stones. Reserve 2 pieces for the garnish, and place the rest in a small saucepan and add the water and the sugar. Cook over a medium heat for a few minutes until the fruit is softened and the whole thing is beginning to get a bit jammy. Pour into a blender and blend for a minute or more, until the mixture is quite smooth. Taste for sweetness and, if it needs more, add extra sugar little by little - adding, blending, and tasting until it reaches the right balance. Once the balance of flavour is right, push the coulis through a fine sieve into a clean container, cover and leave to cool. Once cooled, then chill in the fridge. When you’re ready to serve (and the panna cotta has set - give it four hours. If it’s not quite set then stick it in the freezer for the last 15 minute before serving), boil some water and put it into a bowl at sufficient depth that it will go two-thirds up the moulds you’ve used for the panna cotta. Dip each of the moulds into the water for a few seconds, and then unmould the panna cottas onto the serving bowls. Spoon the chilled apricot coulis around them. 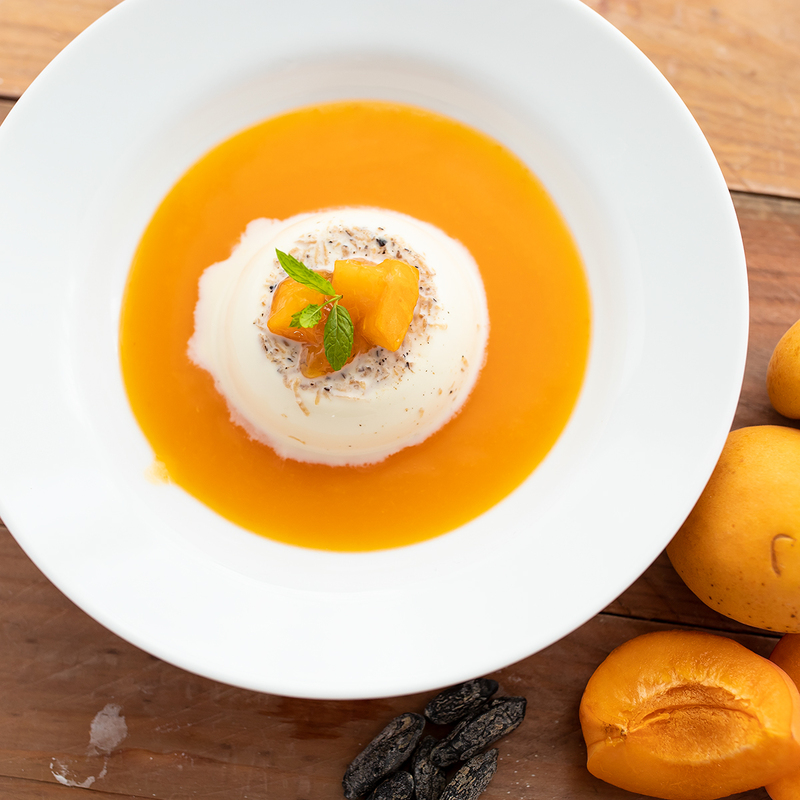 Chop the remaining apricot into smaller chunks and put those on top of the panna cotta along with a couple of small mint leaves. If you have left-over double cream that you may not use in the next couple of days, the easiest thing to do is to freeze it. It won’t work for lower-fat-content creams, but double cream will freeze just fine. It’s a nice touch to have a couple of little mint leaves added to the top, but don’t buy a packet of fresh mint from the supermarket for this - not unless you’re happy to freeze nearly all of it to use for future dishes. The best thing is to get a tub and grow your own mint plant. They are very robust plants (indeed, put them in a tub even if you have a bigger garden to save it from rampant mint spreading everywhere) and then you can just cut a few leaves whenever you want.